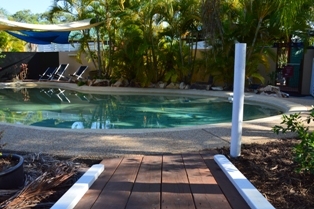 The Lovely Cottages has been voted one of the best hotels in Agnes Water! For couples, family, and friends - max 3 people in each cottage. 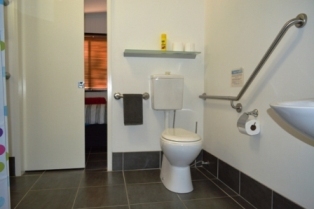 Please contact us direct to enquire about booking the Disability Cottage. Open plan bathroom with rails. 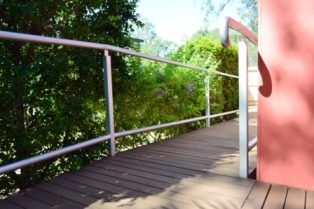 Ramp access to the pool area.